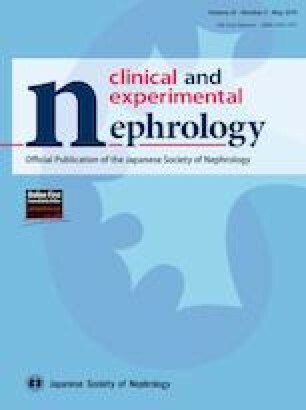 Secondary hyperparathyroidism (SHPT) is a serious and common complication in patients receiving peritoneal dialysis (PD). Cinacalcet is currently the recommended therapy for SHPT; however, gastrointestinal (GI)-related symptoms can result in low adherence and high discontinuation rates. Evocalcet is a novel calcimimetic agent that has non-inferior efficacy while providing a more tolerable safety profile. This was a multicenter, intra-subject dose-adjustment treatment study evaluating the efficacy and safety of 1–8 mg evocalcet orally administered once daily for 32 weeks for the treatment of SHPT in PD patients. Patients then entered a 20-week extension period (dose range 1–12 mg). The primary endpoint was the proportion of patients who achieved a mean intact parathyroid hormone (iPTH) level of 60–240 pg/mL during the evaluation period (weeks 30–32). Secondary efficacy endpoints included the proportion of patients achieving ≥ 30% decrease in iPTH levels. A total of 39 Japanese PD patients with SHPT received evocalcet. The target mean iPTH level of 60–240 pg/mL was achieved by 71.8% (28/39) of patients during the evaluation period and 83.3% (20/24) of patients at week 52. The proportion of patients who achieved ≥ 30% decrease in iPTH levels from baseline was 74.4% (29/39) during the evaluation period and 87.5% (21/24) at week 52. Adverse drug reactions occurred in 46.2% (18/39) of patients, with most being of mild-to-moderate severity including GI-related events. This study shows the long-term efficacy and safety of evocalcet when orally administered to PD patients with SHPT once daily. ClinicalTrials.gov: NCT02549417, https://clinicaltrials.gov/ct2/show/NCT02549417; JAPIC: JapicCTI-153016, http://www.clinicaltrials.jp/user/showCteDetailE.jsp?japicId=JapicCTI-153016. The online version of this article ( https://doi.org/10.1007/s10157-019-01692-y) contains supplementary material, which is available to authorized users. The members of the Evocalcet Study Group mentioned in the Acknowdegements section. This work was funded by Kyowa Hakko Kirin Co., Ltd. Kyowa Hakko Kirin Co., Ltd. was involved in the study design, data collection, data analysis, preparation of the manuscript, and the decision to submit the manuscript for publication. This study was registered on ClinicalTrials.gov (NCT02549417) and JAPIC (JapicCTI-153016). The authors would like to thank Teresa Nabais, PhD, and James Graham, PhD, of Edanz Medical Writing for providing medical writing support during the development of this manuscript, which was funded by Kyowa Hakko Kirin Co., Ltd.
Yoshimitsu Hayashi: Fukushima Medical University Hospital, Hidetomo Nakamoto: Saitama Medical University Hospital, Shoji Koga: Edogawa Hospital, Medical Plaza Edogawa, Ichiro Okido: The Jikei University Hospital, Minoru Kubota: Ouji Hospital, Fumihiko Koiwa: Showa University Fujigaoka Hospital, Masahiro Takeda: Komatsu Municipal Hospital, Terumasa Hayashi: Osaka General Medical Center, Makoto Hiramatsu: Okayama Saiseikai Outpatient Center Hospital, Hideki Kawanishi: Tsuchiya General Hospital, Hidetoshi Kanai: Kokura Memorial Hospital, Sakuya Ito: Kurume University Hospital, Kazuhiko Tsuruya: Kyushu University Hospital, Koji Mitsuiki: Fukuoka Red Cross Hospital, Hirofumi Ikeda: Munakata Medical Association Hospital. We have read and understood Clinical and Experimental Nephrology’s policy on disclosing conflicts of interest and declare the following interests: KT has received consulting fees from Astellas Pharma Inc.; lecture fees from Kyowa Hakko Kirin Co., Ltd., Chugai Pharmaceutical Co., Ltd., Bayer Yakuhin, Ltd., Torii Pharmaceutical Co., Ltd. and Ono Pharmaceutical Co., Ltd.; and grants from Kyowa Hakko Kirin Co., Ltd. and Chugai Pharmaceutical Co., Ltd. MF has received consulting fees from Kyowa Hakko Kirin Co., Ltd. and Ono Pharmaceutical Co., Ltd.; lecture fees from Kyowa Hakko Kirin Co., Ltd., Bayer Yakuhin, Ltd., Torii Pharmaceutical Co., Ltd. and Ono Pharmaceutical Co., Ltd.; and grants from Kyowa Hakko Kirin Co., Ltd. and Bayer Yakuhin, Ltd. TA has received consulting fees from Kyowa Hakko Kirin Co., Ltd., Astellas Pharma Inc., Bayer Yakuhin, Ltd., Fuso Pharmaceutical Industries, Ltd., Japan Tobacco Inc., Ono Pharmaceutical Co., Ltd. and NIPRO Industry, and lecture fees from Kyowa Hakko Kirin Co., Ltd., Chugai Pharmaceutical Co., Ltd., Bayer Yakuhin, Ltd., Kissei Pharmaceutical Co., Ltd., Torii Pharmaceutical Co., Ltd. and Ono Pharmaceutical Co., Ltd. RS is employed by Kyowa Hakko Kirin Co., Ltd., which funded this research. This study was performed in compliance with ethical principles based on the Declaration of Helsinki and the Good Clinical Practice Guidelines. Ethical approval was obtained from the institutional review board of each participating institution. The Japan Diplomatic Society Statistics Investigation Committee. Basic aggregation on chronic dialysis patients at the end of 2016. 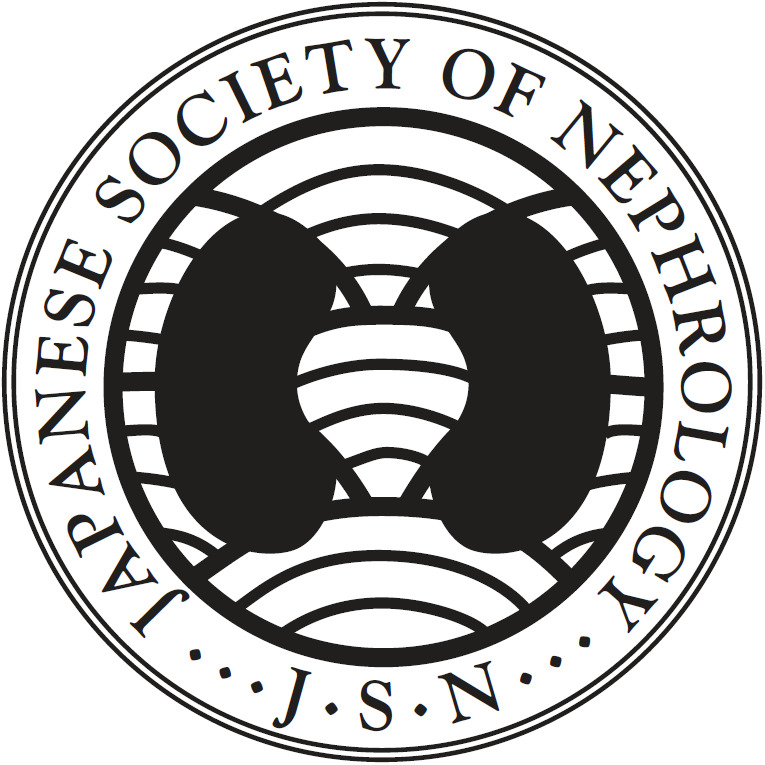 The Japanese Society for Dialysis Therapy. 2015. http://docs.jsdt.or.jp/overview/. Accessed 25 April 2018 (in Japanese).